Is your upcoming stag party literally just behind the corner and you are thinking about some ordinary activity which every single one of you knows good and is pretty good at? 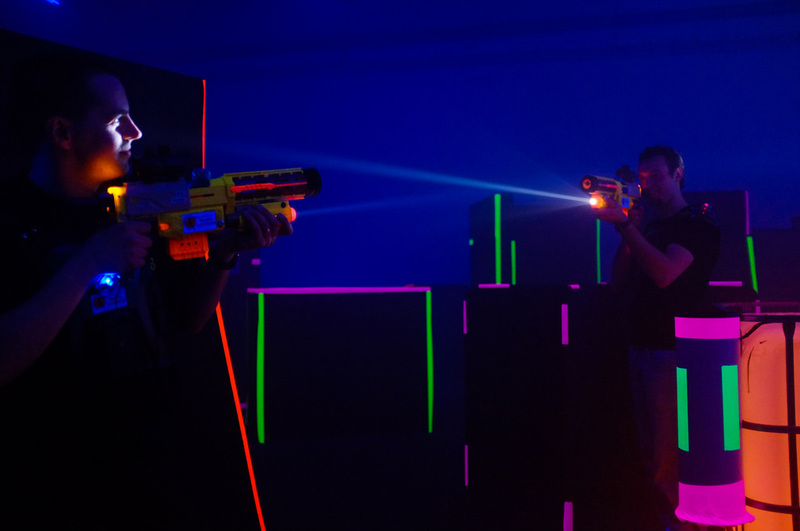 What would you say about a lasertag game, a bonding activity where everyone can show what they have got? A true player is always excited about experiencing a new environment, new games and new challenges, therefore we are sure that you will love these new possibilities! Come to Bratislava and during 3 – 4 x 15 minutes game convince yourself that you simply love this game. Certainly, a maximum of 12 people can play at the same time, so better do the math in advance so no one stays there behind the door, sadly waiting for the others! All the equipment as well as an experienced instructor will be there ready for you, so no worries about anything. Just bring your friends and let’s have some fun, it is time to beat some asses!